Masanobu Ikemiya was born in China to Japanese parents, grew up in Kyoto and Kansas, and was educated at Oberlin College Conservatory and Indiana University, and has received world-wide attention for his many concerts throughout Japan, Mexico, Argentina, Taiwan, Cambodia, Philippines, Bulgaria, El Salvador, the former Soviet Union, Portugal, Brazil, Guam, Hawaii, India, Korea, Canada, and the United States. In 1972, he came to Maine to join the Zen Buddhist Monastery in Surry where he was a practicing monk for 10 years. In 1980, he founded the Arcady Music Festival, of which he was the artistic director for 24 years. Many of you may have had the opportunity to attend some of his performances, or have seen or heard him on Public Television or Public Radio. Mr. Ikemiya developed an interest in American ragtime music while volunteering at a homeless shelter started by Mother Teresa in Harlem. He has made 5 ragtime CD’s and was nominated for a Grammy Award for the album, “Ragtime Classics” in 1994. He certainly has given “new life” to this American Art Form. Since 1995, he has toured annually in Japan with members of the New York Philharmonic and with the New York Ragtime Orchestra of which he is the founder-leader-pianist. He also appeared with them at the 50th Anniversary Gala Celebration at the United Nations and received an award from the UN for promoting world peace through music. Mr. Ikemiya has appeared in solo recitals at New York’s Lincoln Center and the Smithsonian Institution in Washington D.C., and other venues. With the invitation from Peace & Justice Center of Maine, Mr. Ikemiya has honored the anniversaries of Hiroshima by giving concerts in memory of the bomb victims and to promote peace in our world. In recognition of this peacemaking quality of his work, he has been the recipient of numerous honors and awards. The Philharmonic Society of Kaugan, Russia, presented Mr. Ikemiya with an Honorary Certificate for strengthening the friendship between Siberian and American people through music. He has stated that he and his wife Tomoko are presently trying to simplify their lives. They are enjoying a self-sustaining life style with organic farming at their permaculture homestead with a passive solar house on Mt. Desert Island, Maine. 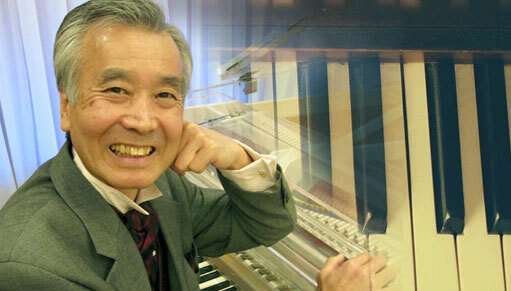 Mr. Ikemiya’s teacher was the late Frank Glazer, who he considers to be the most life changing influence on his piano playing. Tickets can be purchased at the door or at Dave’s Appliance in Winthrop.